Warriors guard Stephen Curry and ESPN's Rick Reilly joined forces to help fight malaria in Africa. In this video, Reilly and Curry challenge each other in a shooting competition. Reilly tells Curry that he can make more three-point shots than Curry can make half court shots and the loser has to wear nothing but a net. 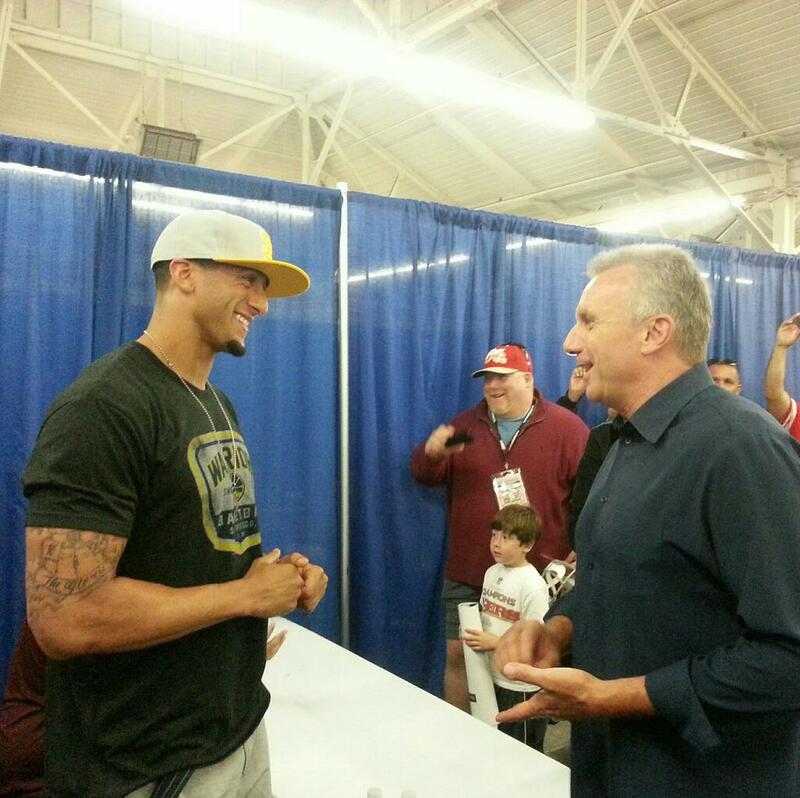 Joe Montana met Colin Kaepernick at the Tri Star card show this past weekend and posted the above picture for his followers on Twitter. Montana's caption for the picture was "Had a fun time talking to @Kaepernick7. Do you #49erfans remember when my arms were that big?" No Joe, we don't remember you having arms that big but we will always remember the great Super Bowl wins and come from behind victories you had as a 49er. Kevin Durant of the Thunder is in the Bay Area because the Thunder take on the Warriors on Thursday night. Durant and his teammate Nick Collison decided to check out the San Francisco Giants' ballpark on a warm and sunny Wednesday afternoon. In the first video below, Durant signs autographs for fans and talks to fellow Texas Longhorn, Brandon Belt in the dugout. 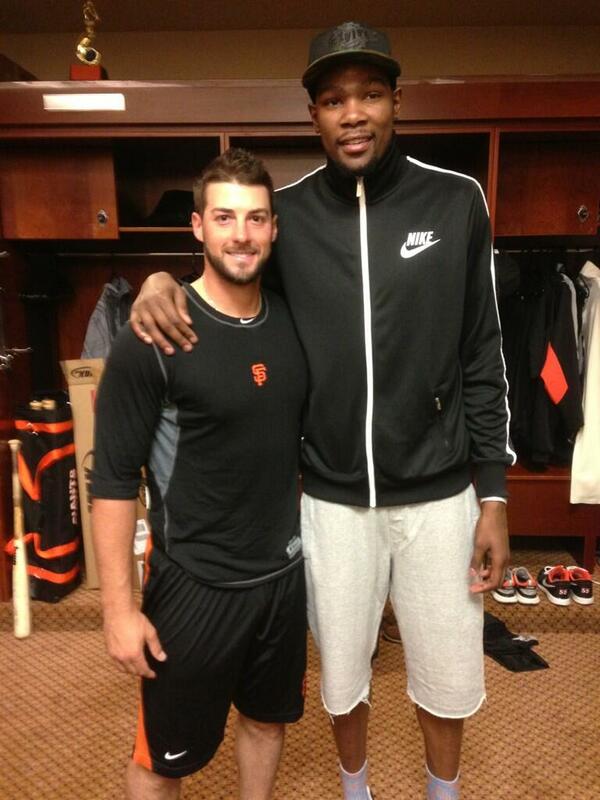 In the second video, Durant talks to the media about why he made the surprise visit to AT&T Park.